MIDDLETON, WI--(Marketwired - Aug 23, 2013) - No business likes to brag, so TripAdvisor, the world's biggest travel site, likes to do it for them. Every year TripAdvisor recognizes hotels and businesses around the world by awarding its Certificate of Excellence. This year, the Courtyard Madison West/Middleton was among the recipients, earning the Madison, Wisconsin business hotel a coveted spot in the top 10% of businesses on the site. The Certificate of Excellence, now in its third year, "celebrates hospitality excellence and is given only to establishments that consistently achieve outstanding traveler reviews on TripAdvisor." To qualify for the award, "businesses must maintain an overall rating of four or higher, out of a possible five, as reviewed by travelers on TripAdvisor. Additional criteria include the volume of reviews received within the last 12 months." In addition to being recognized for superior service, this Madison West hotel was awarded a Silver level of distinction in TripAdvisor's GreenLeaders program, which "identifies hotels and B&Bs that are committed to green practices like recycling, water efficiency and alternative energy." "We are delighted and honored to be recognized not only by TripAdvisor, but by our guests," Sabine Kemp, General Manager of these Madison, WI accommodations says. "We aim to offer the best stay possible, and these two awards are motivation to continue our hard work as a team." A look at the most recent TripAdvisor reviews is proof that the property is hitting the right note with visitors. One guest praised the "courteous staff," while another noted that "the hotel was very clean and well kept" with "a very nice entrance area, a breakfast buffet area, a bar and plenty of seating for just relaxing or for conducting business." As one of the top 10% of Courtyard hotels around the world, the Courtyard Madison West/Middleton offers guests a winning combination of style, service, functionality and comfort. Located on the city's west side and near downtown Madison, this business-friendly hotel offers accommodations that are fully equipped for work and relaxation. Amenities include a desk, sofa, minifridge, coffee/tea service, 32-inch LCD TV, cozy bedding and complimentary high-speed Internet access. Guests can connect with each other and the rest of the world no matter where they are in the hotel (free Wi-Fi is property-wide), and two meeting rooms are available for private gatherings such as board meetings, interviews and social functions. The largest space, Discovery, can accommodate up to 120 guests, and is perfect for those doing business with nearby companies such as American Girl, Epic Systems, CUNA Mutual, GE Healthcare and Electronic Theatre Controls. Guests can relax at this Madison, WI hotel with pool and whirlpool, or head out for the day and explore attractions including University of Wisconsin-Madison, farmers markets, Greenway Station shopping district, Kohl Center and the new Overture Center for the Arts. Enjoy a delicious, healthy breakfast at Courtyard Cafe, offering a cozy lounge and beverages in the evening. 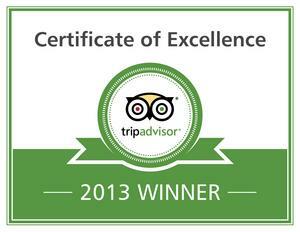 Courtyard Madison West/Middleton received the TripAdvisor award 'Certificate of Excellence 2013.' TripAdvisor awards Certificates of Excellence only to the top-performing 10 percent of businesses worldwide, meaning that the hotel has maintained a rating of four or better and has been listed on TripAdvisor's website for at least 12 months while receiving a competitive number of reviews.